View cart “River of Light – MP3” has been added to your cart. Your spiritual heart offers enormous potential. It allows you to receive love from above, and share unconditional love with others. It’s also the bridge between your conscious mind and your Higher Self. You can learn to access all the spiritual support and guidance you’ll ever need by focusing in your own spiritual heart, and opening to receive. Heart Meditations includes three guided imagery programs. Each gently guides you into your spiritual heart, and helps you to explore your heart-space. The meditations are warm, healing, and inviting, and encourage you to connect deeply within, and let go of anything in the way. Also included are instructions for a heart meditation technique that you can practice every day. This simple, yet profound technique can help you become more and more heart-centered, and explore all that your heart holds for you. You’ll hear a brief guided meditation to help you begin, and then continue freely with the background music without the narration. 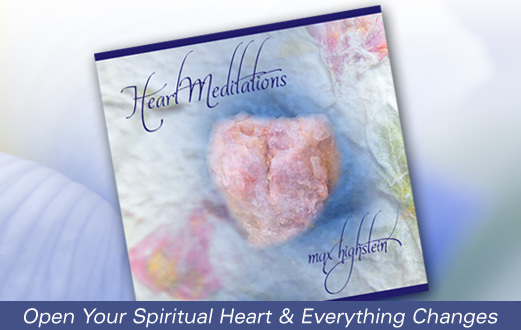 With Heart Meditations, it’s easy to discover and explore your own spiritual heart. Your journey can be open-ended and unlimited! The first meditation, Connecting With God, helps you learn to feel God’s love within, and begin to let go of anything within you that might be in the way. The second, Opening To Love, helps you open your heart further and receive more. The third meditation, Inner Child Storybook, helps you to become more vulnerable inside, with a greater feeling of safety and security, so you can accept love more deeply. The fourth part of the program is the Heart Meditation Technique -- your daily practice. The last part is a guided meditation with soft background music that leads you into the heart meditation itself. Then it continues with just the music, for your own inner journey. "To say that Heart Meditations is unique is an understatement. Having listened to it several times, I already feel a dramatic change between head and heart." "I love using the Heart Meditation program. It eases me into my mediation, and I find the music keeps me going inward." "The Heart Meditation practice is the central part of the inner work I do on a daily basis, and it is the practice I teach and encourage all of my spiritual counseling clients to do. Much of the inner growth and transformation I've experienced is the result of changing my focus from my head, into my spiritual heart. There are connections and references to this kind of inner work in many of the great spiritual traditions. "Many of us wish we had a more open heart, able to give and receive love more freely. The heart is our connection to God, and our path to connecting with others. It can also contain all the hurt from our past, which holds us back. This heart meditation helps us relax, resolving conflicts in our heart, so we can fill it with love. The spiritual guided meditations and instructions I've included on the album have been carefully written to help you find your own path of the heart. I hope you will take this inner journey, and let me know how it effects you. 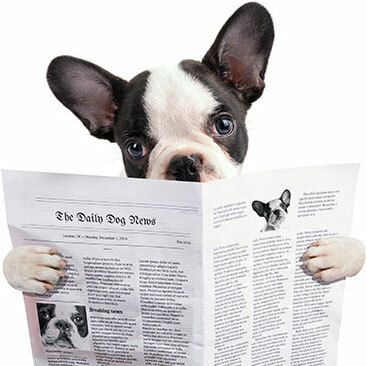 I believe you will love it!" A daily guided meditation program. Get set up for a great day!